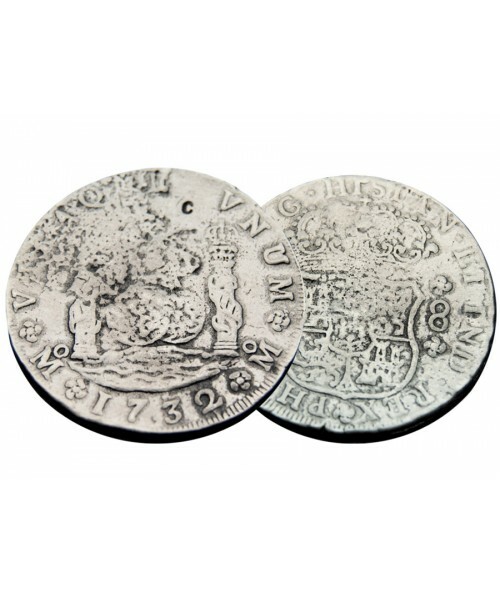 Most real Spanish Treasure coins are no longer available to either find or purchase. In most cases they are too expensive to buy at auction or in a private sale. 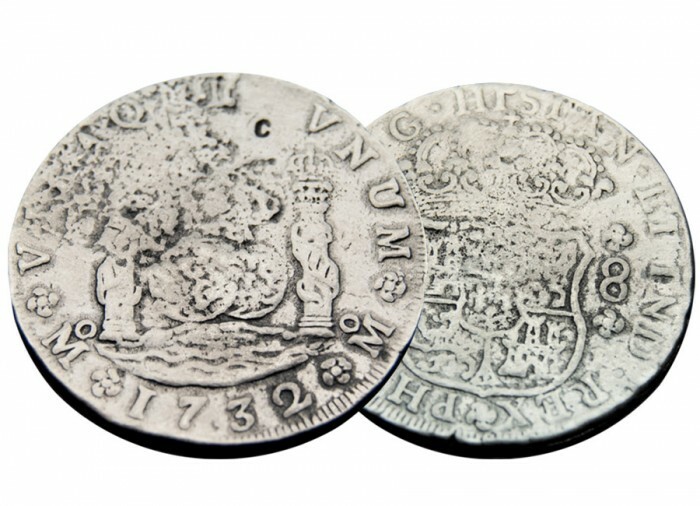 Even the most common silver coins are priced in the hundreds of dollars. But a quality replica is the perfect affordable compromise! 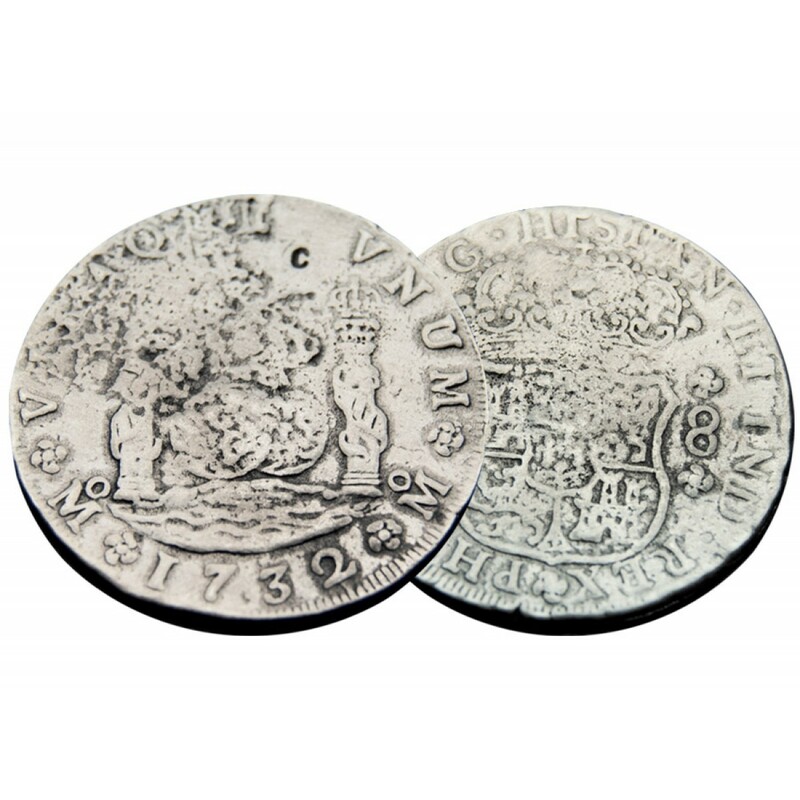 This group of Replica Treasure Coins are duplicated from coins recovered from Spanish Treasure Galleons sunk mostly off the Florida coast. Some were from 1715 and 1733 fleets and some from the 1622 Atocha and from other wrecks. All are museum quality examples presently displayed in Kellyco's treasure museum displays. All come with a (6.5" x 4.5") historical certificate ready for framing.